Ever since I learned about this past weekend's tragic passing of one of my favorite artists, Amy Winehouse, I've been wracking my brain trying to remember the first time I ever heard her music. It must have been towards the end of my college experience, as I distinctly remember lending her first album, Frank, to one of my co-workers at my first out of college job. I was instantly smitten by her voice, her look and her attitude. I was instantly captivated by her very presence, hoping and praying that a day would come that I would get to see her perform live on stage. Luckily, that day did come. I had the extreme pleasure of seeing Amy perform at club Avalon (now the House of Blues) in Boston on Monday, May 7th 2007. The show was originally supposed to be at the Paradise however due to demand and her large band, it was moved to a bigger, more accommodating space. Winehouse was promoting her sophomore album, the award winning Back To Black, with a number of intimate U.S. tour dates. By this time I was already well under Amy's spell and had virtually played out her first album and was well on my way to playing out album #2. I would talk her up to anyone remotely interested in music (including my friend Sarah, who accompanied me to the show). She was just THAT good and I was beyond thrilled that she was coming to Boston and that I was going to see her. I couldn't believe it. I was absolutely beside myself with excitement. I remember Sarah and I stopping at a little sausage stand outside Avalon on Lansdowne Street with Fenway Park to our right. As we stood there and scarfed down our sausages, we caught a glimpse of Amy walking out from behind her tour bus, heading down the street with a friend, or a manager looking for some grub or perhaps a pre-show cocktail to help loosen up her nerves. I remember her trademark beehive and how she looked so incredibly skinny. She kept her head down but it was her in all her glory. Had I not been the shy thing that I was, I might have chased her down and uttered some completely embarrassing compliment but no. We just watched her make her way down Landsdowne Street, disappearing into a restaurant on the corner. If you thought I was excited before, you should have seen me at that moment! We made our way into Avalon and got as close to the stage as we possibly could. We were there a good bit early so I was able to get a pretty good spot. I don't recall if I had a camera, but I couldn't find any pictures from that night so I'd have to assume not. There was a young girl in front of me who had done her eyes to look like Winehouse...that Egyptian cat eye look that came to be one of her other trademarks. The girl was also rocking the beehive hairdo, albeit infinitely more coifed and put together than her inspiration. 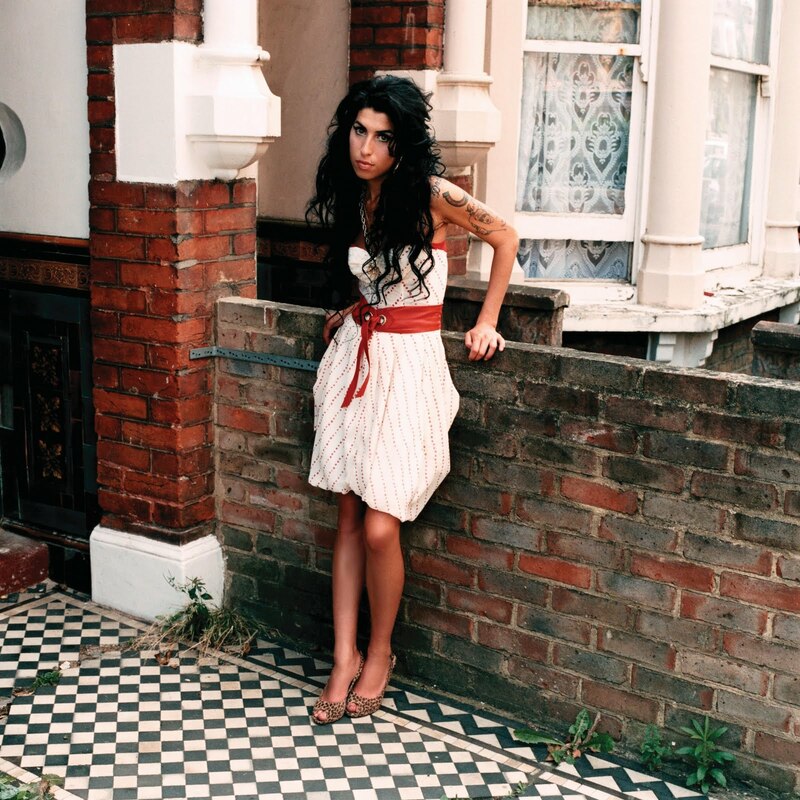 We chatted about Winehouse's earlier material and how we each came to fall in love with her voice. It was fantastic to see America smitten with an artist I had known a good couple of years before everyone else. I always feel a sense of pride when I know I'm in the know before everyone else. I wouldn't call it gloating, but I do like to brag. I can't help it! After a rousing & flamboyant opening set by Amy's U.S. tour opener (and fellow Brit) Patrick Wolf the Amy show officially began. She came out on stage and did her thing. Wearing a simple wife beater, jeans and her hair piled up high, Amy exuded confidence when she clutched that mic. When she sang, I got chills. Backed by the incomparable Dap-Kings, every song sounded just as it did on the album. Spot on performance! According to the Boston Globe's review (I couldn't remember the setlist off the top of my head) Amy opened with "Addicted," sang all but one of the Back To Black tracks, her cover of The Zuton's "Valerie," a couple of Frank tracks, closing with "You Know I'm No Good." The crowd was enamored with Amy Winehouse, myself included. While she sang flawlessly, speaking was an altogether different story. When she spoke between songs, Winehouse slurred her words while sipping a beverage out of a plastic cup. Casually chatting with the crowd, who likely had no idea what she was saying, Amy appeared to be having the time of her life. At times, perhaps a little shy, the booze warmed her up and eased her worries away and by the end of the set she was clearly loving the spotlight. While Amy had been in the press before for her various antics, it was no where near as bad as it had been in recent years. While it would have been nice to understand what she was saying, no one was there to listen to her talk. What really mattered was that Amy sang like a dream. As I sit here and cling on to my memories of that whole fantastic evening, I can't help but wonder about what could have been. What could have happened if Amy stayed clean. What could have happened had she never met her ex-husband and enabler. What could have happened...it absolutely breaks my heart to think of a future in the music industry without Amy Winehouse. To die at the age of 27 with so much more to give is absolutely devastating to me. I feel so fortunate to have had the pleasure to see her live. One can only hope that she's found peace from all of the demons that have been plaguing her over the years. R.I.P. Amy. Thanks for the music. In lieu of posting videos from Back To Black, I want to share some of the videos from Frank. While Amy herself candid about her overall disappointment with her debut, it's great to see her looking so vibrant and healthy here. Listening and watching her sing these tracks makes the sad realization that she's really gone all the more painful.